The media is sometimes confused by the difference between a first responder, an emergency medical technician, and a paramedic. Unfortunately, with so many people getting their information from the news media, the confusion has spread. At least the days of referring to these trained professionals as ambulance drivers are mostly behind us. Unlike other emergency services, our equipment (the ambulance) precedes our training and certifications by several decades. Now that the training has become much more in-depth, ambulance crews do much more than drive. The first person to arrive at an emergency scene. Often, first responder is used as a general term for all emergency service personnel who are expected to respond to medical emergencies or large-scale disasters. A public safety official—such as a police officer or firefighter—certified to provide basic life support skills similar to an EMT. When referring to a certified First Responder, the term is capitalized. The most common certification on an ambulance is the emergency medical technician (EMT). There are two levels of certification that are common to almost every state, EMT and EMT-Paramedic. States will sometimes use different names for the basic level EMT. California uses EMT-1 for its basic level. Some states recognize an intermediate level of certification (often called EMT-Intermediate) that falls between EMT and paramedic. EMT-Intermediate is gradually falling out of favor in most areas. Within the industry, it is very common to refer to a basic EMT as simply EMT, and to refer to EMT-Paramedics as paramedics. So, it's OK to call a paramedic "EMT" but not OK to call an EMT "paramedic." The biggest differences between paramedics and EMTs are the training and the scope of practice (what they are allowed to do). Basic EMTs usually receive 120-150 hours of training, while paramedics get anywhere from 1,200 hours to 1,800 hours of training. Paramedic programs often award two-year degrees. Some provinces in Canada have tried to simplify public understanding of emergency medical certification levels—and cut down on syllables—by referring to all levels of training as paramedics. Within the common term of paramedic, they use the terms EMA-1, EMA-2, etc. EMA stands for emergency medical attendant. The training for emergency medical attendants in many parts of Canada is longer than that of similarly certified EMTs in the US. Like the US, however, Canada's EMS systems vary across the country and there are significant differences between the provinces. It's too bad we don't all start calling everyone a paramedic. All forms of first responder, including basic EMTs as well as paramedics, respond to emergency medical incidents. Ambulance crew members are required to at least have EMT certifications to attend patients in the back of an ambulance. Basic level training provides the most important elements of emergency medical training, while the more advanced paramedic level training addresses supportive care and maintaining patients after initial resuscitation. Both levels of training will also be called upon to provide care to patients during interfacility transfers. When a patient needs to be moved from one medical facility to another, ambulances will be used to do the moving. 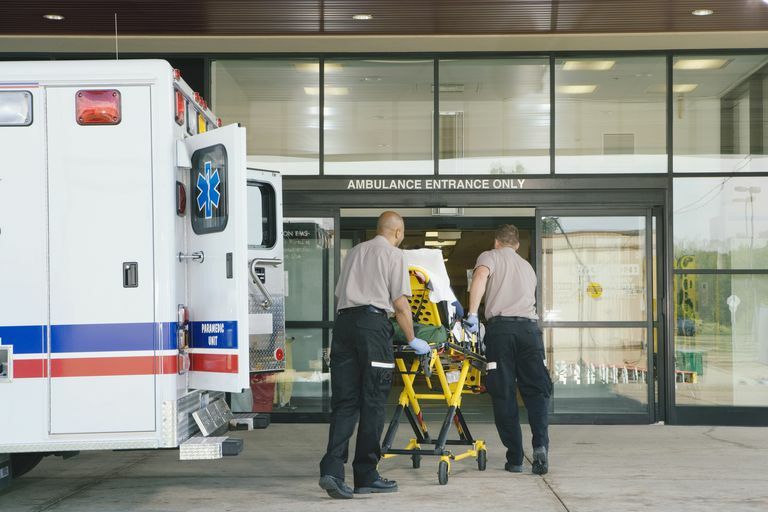 Whether responding to emergencies or providing care during interfacility transfers, ambulances may be staffed with two paramedics, two EMTs, or one of each. In some areas, the level of staffing determines which type of ambulance is sent to a call for service. Emergency medical service is a complicated industry. There are different rules in each state and sometimes in each city or county. For more information, contact your state's EMS office.